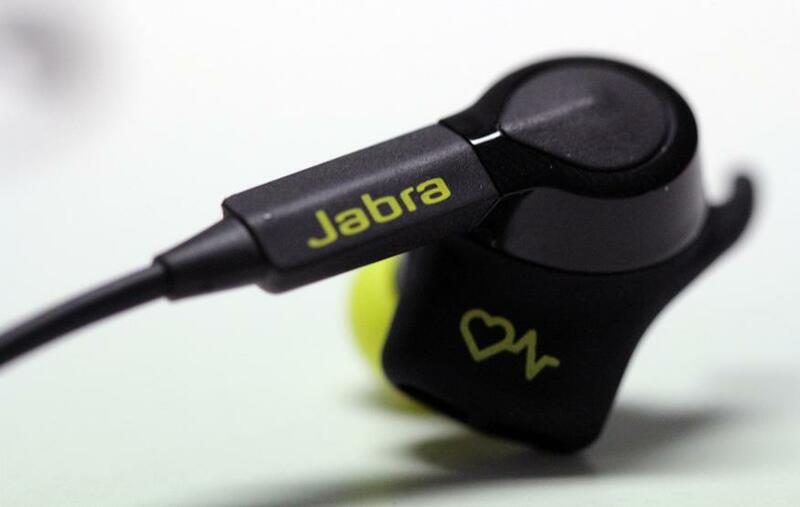 The Jabra Sport Pulse, in my opinion, is one of the best — if not the best — set of workout earphones on the market right now. In addition to delivering music, it also measures your heart rate, which is a really handy feature for sports enthusiasts. The only catch is its price tag and short battery life. One of the biggest selling points of the Sport Pulse is that it comes with earwings and eargels that have been designed to sit in the grooves of your ears perfectly. This ensures that they seal your ears perfectly to block out ambient white noise, delivering a much better audio experience. Taking them out for a test run, I found that the earbuds blocked out almost all ambient white noise whilst I had them on, to the extent that I couldn’t hear the timer on my stopwatch go off during my training sessions. Even during intense training sessions such as sprints and CrossFit movements, the earbuds sat snugly in my ears, and I didn’t have to worry about them falling out of my ears whilst exercising. They were also very comfortable, and sat in my ears for hours without me even noticing them. 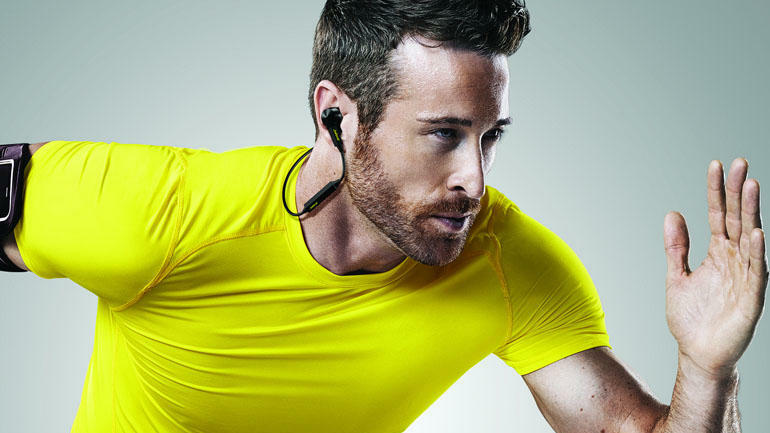 Earbuds that measure your heart rate during workouts are a rare breed. They remove the need for a bulky and uncomfortable chest strap, and at the same time, are far more accurate than optical LED heart rate sensors found on your typical wrist-based fitness trackers. To test the accuracy of the Sport Pulse’s heart-rate tracking feature, I wore the Wahoo Chest Strap and took the Sport Pulse out for a weightlifting and sprinting session. The results were fairly similar and comparable. 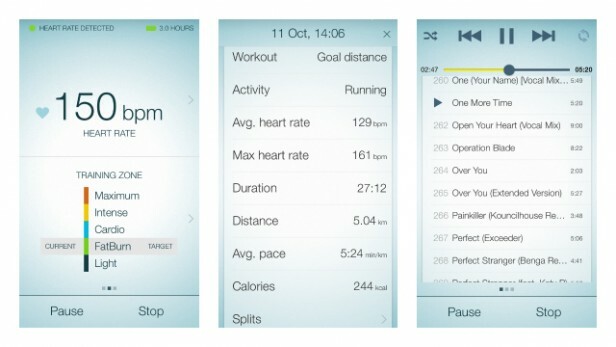 Data collected by the Sport Pulse can be reviewed post-workout, which is helpful if you like to keep track of your improvements. By pairing your Sport Pulse with the Jabra Sport Life app (available on Android and iOS), you can view your workout data and check your heart-rate variability. This is not particularly impressive, of course, given that most fitness trackers available on the market today are able to do this as well. What makes the Sport Pulse stand out in comparison to traditional fitness trackers, though, is that it allows your heart rate to be read out periodically during your workouts. This helps to keep you in your ideal training zone, and won’t require you to raise your arm repeatedly to check a device worn on your wrist. The Sport Pulse comes armed with 6mm speaker drivers, as well as a frequency response range of 20Hz to 20kHz. This means that when synced with the Jabra Sound app (available on Android and iOS), I was able to play a full spectrum of Dolby sound that I could customise with equalizers for a better audio experience. I was glad to find that the Sport Pulse delivered a sound experience comparable to sound quality offered by a wired set of earphones. That said, I do wish the bass on the Sport Pulse could be improved upon, considering that it is a set of workout earphones. A stronger bass might have provided me the extra push in the gym that I needed. Still, the sound quality delivered by the Sport Pulse is impressive overall, and Bluetooth connectivity is also superb. The Sport Pulse took only a second to connect to my smartphone, which I greatly appreciated. 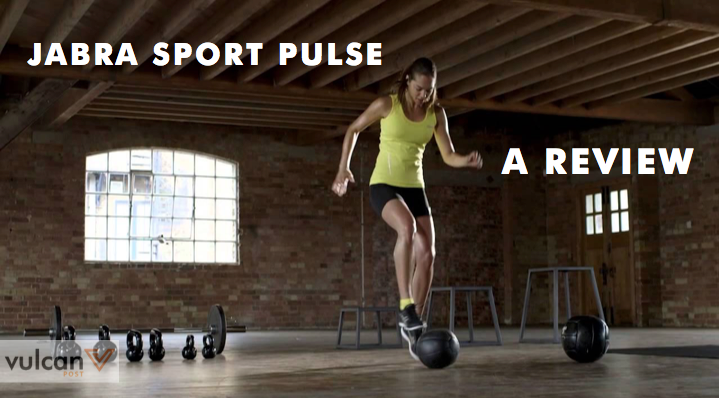 Not that I had to connect to my smartphone much: the Sport Pulse allows you to control your playlist from the earbuds directly, without having to unlock your handphone. This means that skipping tracks and raising the volume is nothing if not convenient. It even has an in-built microphone that allows you to answer calls should someone interrupt you during your workout, which makes for a great hands-free experience. This is where the Sport Pulse’s biggest weakness lies. It lasts only 4 hours on a single charge, so if you intend to use it throughout the day, you will probably need to charge it more than once — a major downside to this fantastic device. On the other hand, if you use it solely for your workouts, charging it once a day should suffice, unless you are a marathon runner with insane stamina (in which case you might run out of juice halfway through your workout). Personally, I find that the Sport Pulse is the earbud that has come closest to integrating both the realms of fitness and music pretty seamlessly. However, priced at $298, this device isn’t exactly affordable for the average joe. 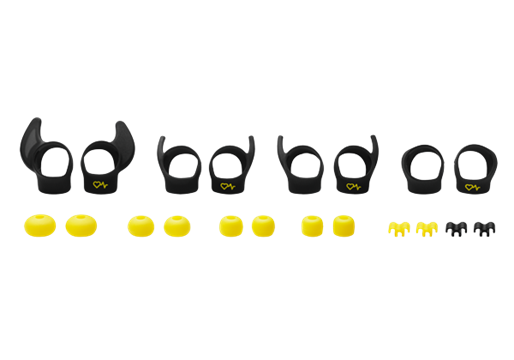 Nevertheless, if you are a serious athlete who treats his/her beats seriously, then you might want to consider the Sport Pulse.